Philippe I, Duke of Orleans was the King of France from 1610 to 1643. Check out this biography to know more about his childhood, family, personal life, facts, etc. Philippe I, Duke of Orleans was the son of Anne of Austria and Louis XIII, who ruled as the King of France from 1610 to 1643. Born Duke of Anjou, Philippe I became the Duke of Orleans in 1660 upon the death of his uncle Gaston, who had previously held the prestigious position. 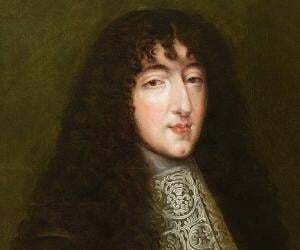 He later came to be known as the younger brother of the popular King Louis XIV, who was better known as the ‘Sun King.’ Philippe I was a brave and excellent warrior, who led his troops in various battles. In 1677, he was appointed as the military commander of a Franco-Dutch War called ‘The Battle of Cassel,’ in which he led his army to a decisive victory over the Dutch. 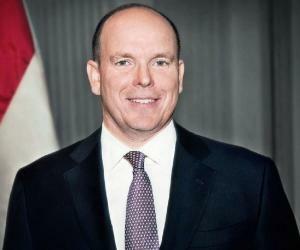 He also founded a cadet branch called ‘House of Orleans’ and then worked towards its prosperity. 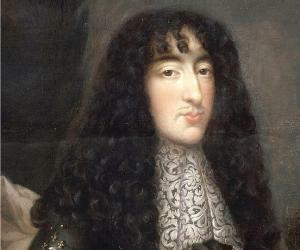 Later nicknamed as the ‘grandfather of Europe,’ the Duke of Orleans was openly bisexual and displayed effeminate mannerisms, including cross-dressing. As a kid, Philippe exhibited great intelligence as confirmed by his mother’s friend Madame de Motteville. He was also an attractive kid and was dubbed the ‘prettiest child in the world’ by the Duchess of Montpensier. On May 11, 1648, the seven year old Philippe was baptized publicly at the royal palace. Apart from being educated by Caesar, duc de Choiseul, Philippe was also trained by a group of tutors, who were selected carefully by Mazarin, 1st Duke of Rethel. He was taught various languages, history, dancing, literature, and mathematics. His education was closely monitored by his mother, Anne of Austria. In February 1660, Philippe’s godfather and uncle Gaston passed away, making Philippe entitled to assume the title, ‘Duke of Orleans.’ On May 10, 1661, his brother Louis XIV granted him the title officially. He was also honored with the lordship of Montargis. 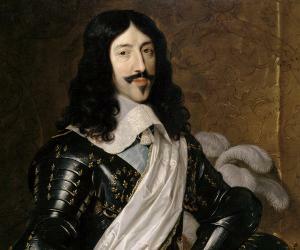 In 1667, Philippe became a part of the ‘War of Devolution,’ in which he successfully exhibited his amazing skills as a military commander. 10 years later, he accompanied his army to siege parts of Flanders and was subsequently made the Lieutenant general of his brother’s army. Under Philippe’s command, his army secured a decisive victory in the ‘Battle of Cassel,’ which earned him praises for his brilliance as a military commander. However, he did not pursue his career as a military commander and instead chose to immerse himself in a life of pleasure. After showcasing his military expertise in the ‘Battle of Cassel,’ Philippe started focusing on the expansion of his personal fortune, estates, and personal art collection. He also focused on renovating the royal palace and his residences, including his favorite residence, Château de Saint-Cloud. Popular artists like Pierre Mignard and Jean Nocret were employed to further beautify the royal palace and Saint Cloud. Apart from enjoying architecture and art, Philippe also encouraged music and dance. Having learnt dance at a young age, Philippe was an exceptional dancer and was also a patron of popular musicians like Henri Dumont, Jacques Antoine Arlaud, and Jean-Henri d'Anglebert. Philippe also had a small but impressive collection of arts, which would later form the basis for ‘The Orleans Collection,’ which would go down in history as one of the most prominent art collections ever. In 1679, he was granted the permission to take over the construction of a canal called ‘Canal d'Orleans.’ Started as a small canal in 1676, ‘Canal d'Orleans’ was expanded by Philippe, who completed its construction in 1692. In 1661, Philippe founded the fourth ‘House of Orleans.’ The royal house played a crucial role in placing the Orleans dukes in the order of succession to the throne, next only to the members of the ‘House of Bourbon.’ ‘House of Orleans’ would later make sure that the descendants of Philippe would enjoy holding on to the Crown from 1830 to 1848. 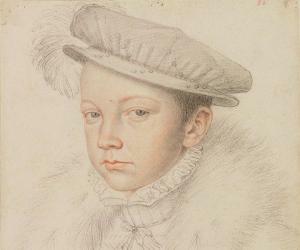 Philippe I manifested feminine traits very early in his life. Accounts of his mother calling him ‘my little girl’ and encouraging him to wear clothes meant for girls are clear and precise in history books. Philippe I was a cross dresser all his life. By 1658, Philippe’s effeminacy and his attraction towards men became the topic of discussion in the court. However, neither Philippe’s effeminacy nor his sexual attraction towards men was causes of concern over his manliness. Also, his homosexual behavior did not pose any threat to his first wedding with Princess Henrietta of England, who happened to be his first cousin. While Philippe and Princess Henrietta signed their marriage contract on March 30, 1661, their wedding ceremony took place the next day in the royal palace. But the couple did not have a peaceful marriage life as Henrietta started flirting with Philippe’s brother Louis XIV in the summer of 1661. When Philippe brought to his mother’s notice about the intimacy shared by his wife with her brother-in-law, his mother Anne rebuked her older son and Henrietta for their attraction towards each other. Interesting court gossips, ranging from King Louis XIV’s role in Henrietta’s pregnancy to Henrietta’s sexual attraction towards one of her husband’s old lovers named Guy Armand de Gramont, gave rise to further speculations. Philippe’s strained relationship with Henrietta and his decision to showcase his sexuality more blatantly than ever, encouraged gossipmongers within the court. In March 1662, Henrietta gave birth to a baby girl, whom they named Marie Louise. In 1664, Philippe and Henrietta were blessed with another child, a son. However, in 1666, the child died of convulsions. In 1667, Henrietta suffered a miscarriage and became seriously ill. However, she recovered quickly and went on to convince the king to banish Philippe of Lorraine to Rome after learning about her husband’s romantic relationship with Philippe of Lorraine. In August 1669, Henrietta gave birth to another daughter named Anne Marie. On June 30, 1670, Henrietta breathed her last at the age of 26. Initially, Philippe of Lorraine, who was reinstated in the court, was accused of poisoning her. However, her autopsy report stated that she had died of peritonitis. Henrietta’s death was never really mourned by her husband. In fact, he was busy looking for a woman to marry in order to have a male heir. Many women were shortlisted, before Philippe agreed to marry Princess Palatine Elizabeth Charlotte. On November 16, 1671, Philippe married Elizabeth, who was required to convert from Protestantism to Roman Catholicism prior to her wedding with the duke. In June 1673, Elizabeth gave birth to a son, who was named Alexandre Louis, Duke of Valois. However, Alexandre Louis died in 1676, much to the distress of his father. Elizabeth had given birth to another son named Philippe II, Duke of Orleans in 1674. In 1676, she gave birth to a daughter named Elisabeth Charlotte d'Orleans. After the birth of Elisabeth Charlotte, Philippe I requested his wife to sleep in a separate bed henceforth, which she did without raising a ruckus. In many of her letters, which were written to her aunt Sophia of Hanover, Palatine Elizabeth Charlotte had stated that she quietly endured the sight of her husband’s male favorites in the palace. Philippe I was easily able to maintain his lavish lifestyle even in his later life. He also found great solace in watching his children and grandchildren go about their respective life. 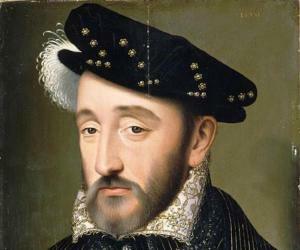 His daughters from his first marriage went on to become queens, while his son Philippe II pursued an active military career. He even served the military at the ‘Battle of Steenkerque’ and during the siege of Namur. On June 9, 1701, Philippe I breathed his last at the age of 60, when he collapsed after suffering a fatal stroke in the presence of his son. On June 21, 1701, his mortal remains were taken to the Basilica of St Denis. Philippe’s male lovers had sent him many love letters throughout the course of his life, which were burnt by his widow, fearing that they might fall into the wrong hands. During the French Revolution, the Basilica of St Denis was destroyed, along with all its graves.